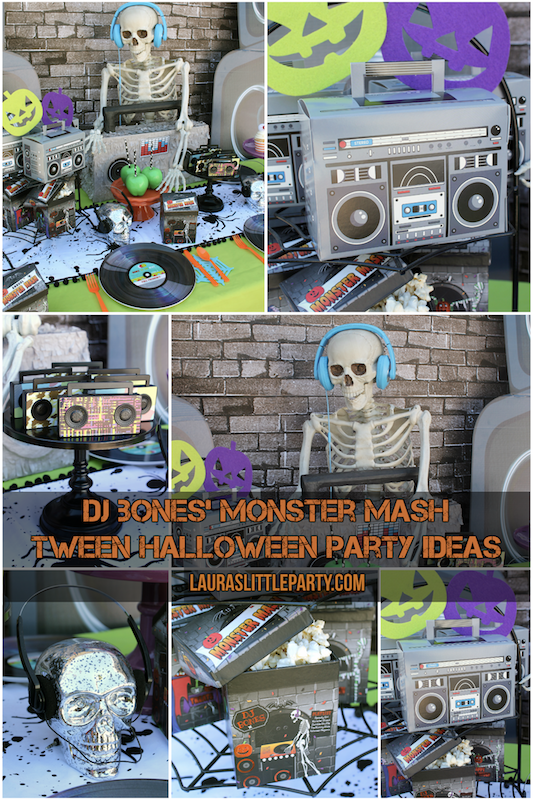 DJ Bones' Monster Mash| Tween Halloween Party Ideas! Are you looking for some fun tween Halloween party ideas? I put together a bright + age appropriate Monster Mash party, featuring DJ Bones! He was looking so cool as he hung out at the table, wearing his bright blue earphones, and mixing some spooky tunes. 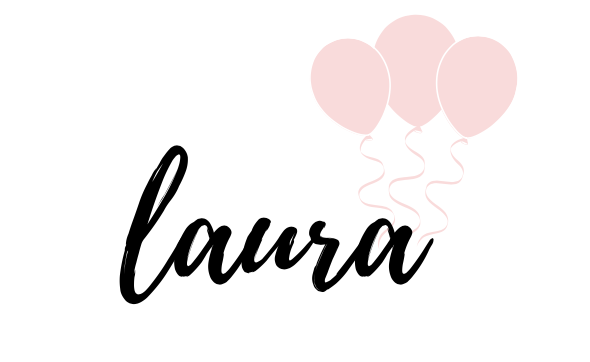 For my easy-to-create-party, I found items at Dollar Tree, Shindigz, Target, and HomeGoods! My backdrop was a brick wall setting, created from a roll of brick flat paper, and tall speaker standees, from Shindigz. I hung a bold colored garland by stringing felt spider web cutouts that I found in the Target Dollar Spot. I set out some bright green fabric to use for my table cover, and I topped it with a cool paint splattered table runner from HomeGoods! And how perfect are those record plates?! I found those in the Target Dollar Spot a few years ago. This creepy-cool box from Dollar Tree is what inspired my party idea! I fell in love with the skeleton dj and quickly dreamed up a fun party theme. I also picked up these silver skulls, headphones, and mini radio speakers from Dollar Tree! For snacks, you can set out candy apples, popcorn, and cupcakes topped with plastic eyeballs. Have some cool party activities for your guests! Why not have a Monster Mash dance-off?! Karaoke is still fun for all ages. You can create a neighborhood scavenger hunt too! Send your guests home with spooky treats inside of these awesome boom box favor boxes. I saw these on the Shindigz site and had to have them! I hope you enjoyed our easy tips and party ideas for a tween-friendly Halloween Party! Spooky never looked so cool! Save this pin for later when you're ready to plan the perfect tween-themed Halloween Party!